Creating a direct pathway to elite footy continues to be a major focus for North Melbourne’s VFL side. With the club’s second season as a standalone VFL side fast approaching, having opportunities for the next generation to develop remains a priority, according to North VFL senior coach David Loader. “This is why we have a VFL team, we want to produce players for the AFL team,” Loader told North Media. “Every time someone can go up and play a role, that’s a win for us as a football club. 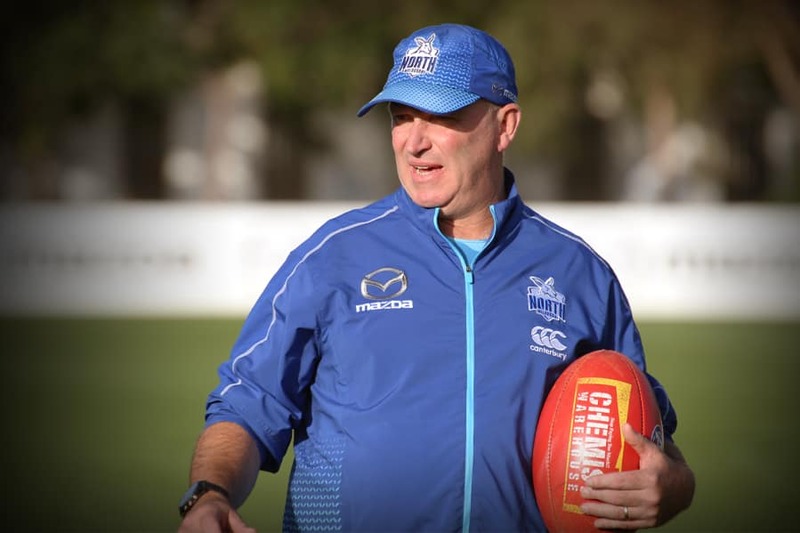 “We want to get to a point in time where we’re up to a dozen AFL-listed players that are playing in our state league team every week, that we can have come in and play a role if needed. Having finalised the playing squad for 2019, Loader can already see major differences in the club’s preparation for the season proper. “It’s made a massive difference with our playing list for a start,” he said. “We were basically learning to walk last year, this year we had 14 or 15 guys that have re-signed. Those fellas know the method behind what we were trying to do, which really helped. Among a slew of new faces at Arden Street this season are former AFL-listed pair Alex Morgan and utility Dan Robinson. Their inclusions are seen as a welcome boost by Loader, citing their experience at the highest level, along with the apparent leadership abilities they will bring. “These are the guys that take the club forward, we’re really pleased to have them,” he explained. “Apart from being good players, we’ve tried to get the best players we possibly can. It’s super-important that they come in and understand what we’re about as a group. “’Morgs’ has obviously been here before, so he understands how the system works. Dan brings more than just good football pedigree. Given the current depth of talent in North’s AFL side, competition for places will be at an absolute premium. Managing the logistics that accompanies players rotating from state to national competition is something Loader expects to face, with communication being paramount. “We have 45 players on our list, which equals 45 players that want to play AFL football every week. If you just do the maths, that’s not going to happen,” he said. “Each player knows what they’ve got to improve on and what’s going to get them in the team. If the communication is clear, then we have no issues whatsoever. 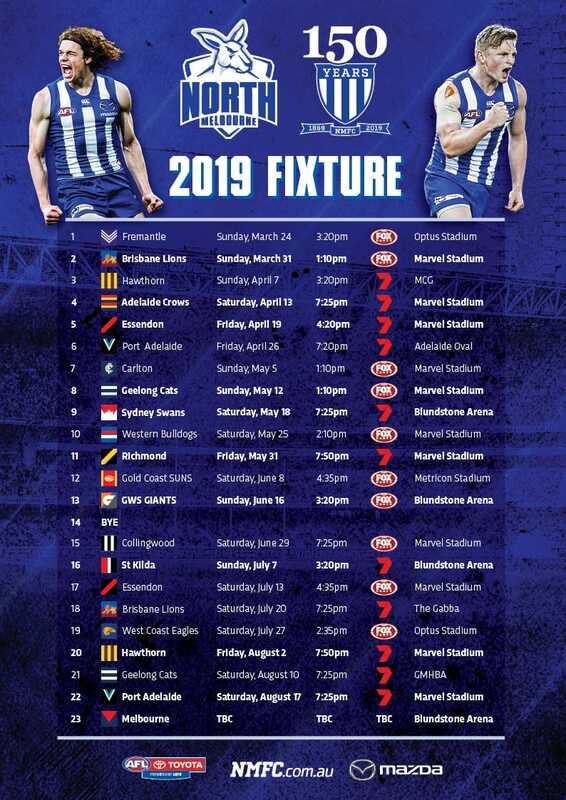 North will play a final practice match this Saturday against the Northern Blues, before their season-opener against Werribee on April 6.